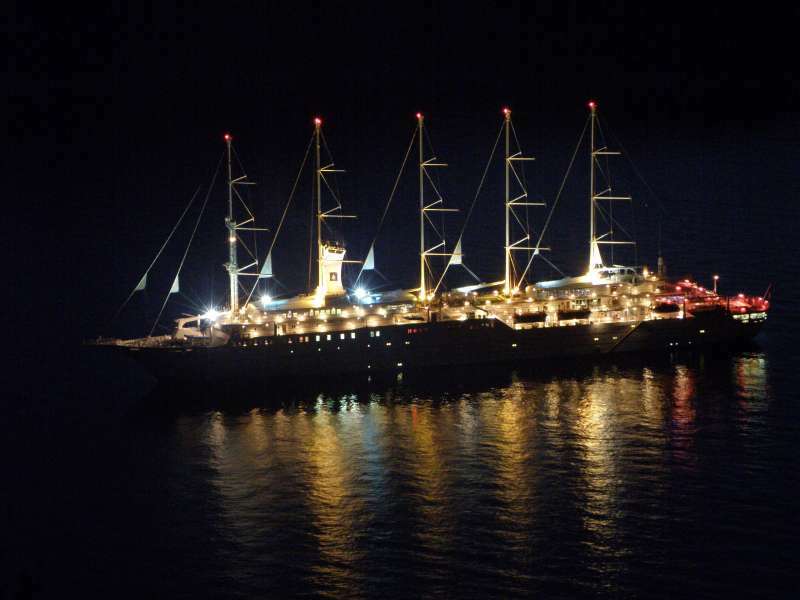 CLUB MED 2 just before late night departure from Dubrovnik on the route to Kotor on July 27th 2009. That was the last visit of CLUB MED 2 this year in Dubrovnik. All the best to capt.Benoit Donne and his crew. See you next year!